The Indian Premier League (IPL) is still a good few days away, and Virat Kohli seems to be making the most of it. 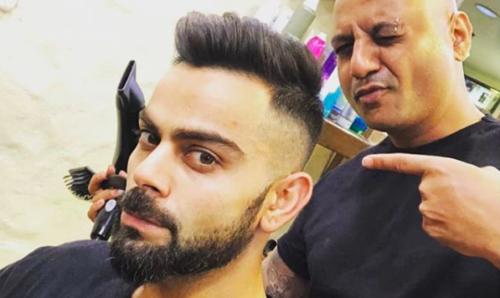 The Indian captain took some time off practice to get his new haircut done by renowned stylist Hakim Allim. He later took to social media to share a picture of his new, trimmed look. “Great cut from the style master,” the caption read. Meanwhile, Kohli has been enjoying some downtime, having been rested for the recently-concluded Nidahas Trophy. The 29-year-old, who is considered to be one of the best batsmen in the world currently, is slated to lead Royal Challengers Bangalore (RCB) in the 11th edition of the IPL that will get under way come April 7. RCB are scheduled to open their campaign against Kolkata Knight Riders on April 8. Great cut from the style master @aalimhakim ??? ?